Suha Ozler (CSC-CICB NBS TTP-dip) began her dance training at the Istanbul City Conservatory in Turkey, and continued her dance education at The National Ballet School of Canada, George Brown College and Ryerson University Faculty of Applied Arts. Suha danced professionally with The Istanbul State Opera and Ballet Company, gaining valuable experience with famous choreographers from around the world. She has danced professionally in many classical, contemporary and modern dance pieces, including Coppelia, Don Quixote, Laila and Mecnun, Spartacus, Swan Lake, Faust, Giselle, La Bayadere, La Sylphide, Les Sylphides and The famous 3 Act Ballet by Gavin MacMillan. Her repertoire also includes Opera Ballets such as Aida, Lucia de Lamermoor, The King and I, The Magic Flute, The Merry Widow and Turandot. Suha had the opportunity to tour in Europe, and danced in the famous ancient Asphendos Amphi-theater in Antalya. This performance would mark the first Antalya Summer Festival, dedicated to classical Music, Ballet and Opera. Suha has also been involved in acting, modeling, choreographer and assistant choreographer for various fashion shows and music videos in Istanbul. In 1994-95 she worked with producers from Europe to put together the Vision Show, which brought the fashion world to Istanbul, showing designer clothes. In 1997 Suha returned to Canada to become a teacher. She graduated from The National Ballet School Teacher Training Program and has achieved her associate in both Cecchetti Ballet and National Dance faculties as well as Advanced level in R.A.D. Suha has taught in various dance schools in Ontario since 1999 and is passionate about her career. She continues to pass on her knowledge as an ex-professional dancer and as a teacher. She also continues to choreograph for dance competitions and prepares children for Cecchetti Ballet exams. Katelyn has been dancing since she was three years old and her passion and dedication towards the art form has only grown through her years of training. Katelyn graduated from Ryerson University School of Performance Dance Program 2016 with a BFA degree. 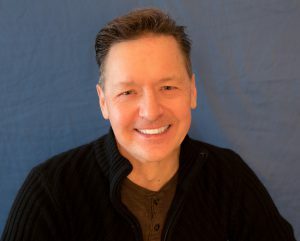 There she studied under well-established Modern, Jazz and Ballet artists including Karen Duplisea (Toronto Dance Theatre), Vicki St.Denys, Nadia Potts & Tanya Evidente (Canada’s National Ballet), Robert Glumbek (ProArteDanza), and Kenny Pearl. At Ryerson Katelyn danced in a production of work by James Kudelka and also choreographed and performed her own work on the Ryerson Theatre Stage as well as performing in many other works by recognized artists. Katelyn has also expanded her dance education learning from leading dance artists through varied dance intensives such as Toronto Dance Theatre, Quinte Ballet School and The National Ballet of Canada. Katelyn has returned as a choreographer for a dance studios production of Alice in Wonderland at their ballet summer production for the past three years. She has trained in mainly RAD (Royal Academy of Dance) ballet syllabus, Modern, Jazz, Lyrical and Contemporary. Katelyn has performed at many events including Kiwanis Dance Festivals, the ROM in an installation work ‘ROM Revealed Ancient Greek Gallery Movement Instillation’ which was then remounted for ROM ‘Pompeii Exhibition – Dance Cycle Revised’. Katelyn’s teaching background not only involves Ballet, Modern and Acro instruction within multiple studio settings and summer intensive programs, but she has also taught Modern based movement workshops in the TDSB schools through an Ontario Arts Council (OAC) grant project as an emerging dance artist teaching grades three and four. She is a Barreworks studios ballet barre certified fitness instructor as well as Acrobatique Acro dance certified teacher and is currently teaching at studios within the city as both a dance teacher in multiple styles as well as a pre-school arts program teacher. Katelyn is very excited to be joining the Beach Dance School. 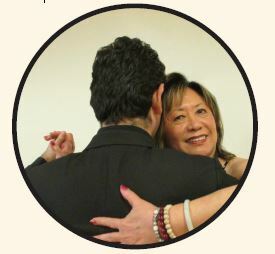 Tango Lesson with Ann Lewis & Team – sharing with you our passion for this social dance. 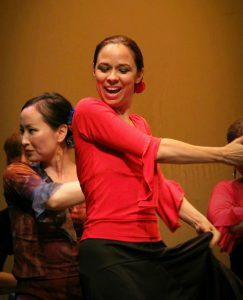 Ann Lewis has a deep passion for dance which began over 10 years ago with her first Tango lesson. Since that time, she has deepened her knowledge by working with master tango teachers in both Toronto and Buenos Aires and has completed the DVIDA Argentine Tango syllabus in Bronze, Silver and Gold. Ann has found this hobby as a motivation to have work life balance. Ann is inspired, motivated and balanced by Tango. Ann invites Master Tango Teachers to enrich the class which helps further develop and refine Tango movements and expressions. CINNIE NOBLE ~ CINERGY FITNESS, owned by older Adult Fitness Specialist Cinnie Noble (a former lawyer and long-time Beach resident), offers classes on Sunday mornings for active adults. The Balance exercises are 45 minutes in length (10:00-10:45 a.m.) – and in addition to improving balance, the combined extension stretches and standing exercises are designed to also improve posture and flexibility. Our Medley Moves classes are 60 minutes long (11:00-12:00 a.m.) and teach low impact specially-choreographed dance movements that focus on strengthening mobility and coordination AND just plain having FUN moving to music of the 60’s, 70’s, 80’s and some contemporary tunes, too!